Fashion Week fantasy: Dressed to the nines with a front-row seat at Marc Jacobs, drinks with top fashion editors post-show, dinner at the hottest restaurant for a press interview, home in time for a quick beauty mask before bedtime. Fashion Week reality: Navigating snow and slush in too-thin layers and high heels while running late to shows, downing a vodka tonic (alone) while answering urgent work emails from mobile device, skipping dinner in favor of a handful of almonds consumed in a bumpy taxi ride en route to final show, crashing on bed in full makeup at midnight. I interrupt your regularly scheduled weekly DIY installment for of-the-moment NYFW Fall 2017 fashion trends. 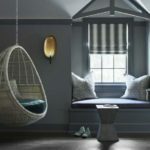 Although the glitz and glamour associated with runway shows is enticing, I’m happy to browse trends on my laptop while cozied up in my favorite chair at home, a glass of Cabernet in hand. The fashion that came out of NYFW Fall 2017 was exciting and statement-making to say the least, pushing me to incorporate some of these looks into my wardrobe, stat. Read on for our tips on how to dress to impress with inspiration from NYFW Fall 2017. Designers weren’t shy to voice their thoughts about this year’s political climate on their designs. From magnetic Planned Parenthood pins being distributed to celebs and influencers alike, to tied bandanas on models’ wrists, activism was at an all-time high this fashion week. Creatures of Comfort acknowledged the refugee crisis with models strutting tees that read “We Are All Human Beings”, Prabal Gurung nodded to the current feminist movement by dressing supermodel Bella Hadid in a tee with “The Future is Feminist” printed across it, and Public School added their own twist to a popular campaign slogan with their “Make America New York“ cropped sweatshirts. My favorite statement came from The Row via a subtle “hope” embroidered on a white cuff. Embroider your favorite slogans onto jeans. Add pins that support different causes to your backpack or denim jacket. Make your own tees by ironing on inspiring phrases. Fashion isn’t the only topic of discussion during NYFW—beauty trends are always quick to emerge from the runway. Dramatic eyeliner in bold hues and shapes was the trend du jour to come out of this week’s shows. Prabal Gurung was all about neon hues with makeup artist Diane Kendal using MAC’s Chromacake to draw sleek cat eyes on models’ eyelids. 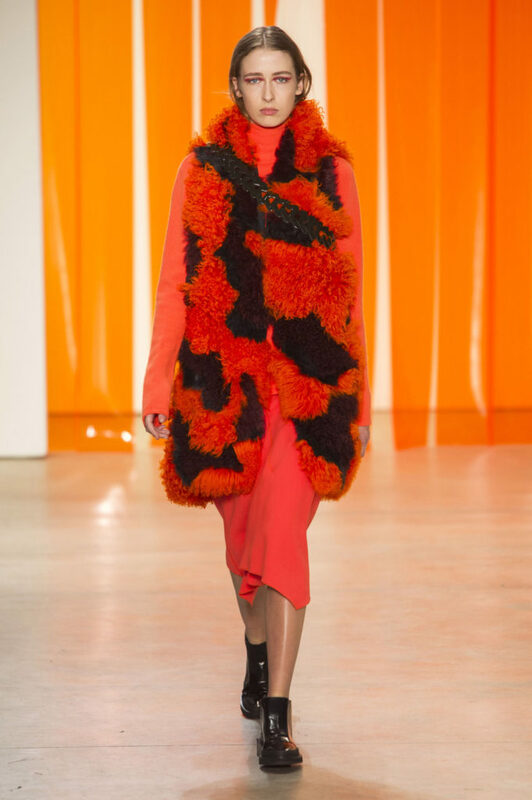 Designer Christian Siriano sent models down the runway sporting orange eye shadow in the shape of tears, a look inspired by “Nevada’s famous desert valley.” Dion Lee also embraced the fad, smudging eye shadow to create an abstract and artistic vibe. Keep your outfit simple and streamlined when wearing this trend to daytime functions. Use unique colors that contrast with your skin tone for a dramatic night-out look. Wear all black to let the trend stand out at parties or events. Corsets are back in fashion this season, and I’m a big fan of how designers incorporated the age-old garment into everyday ensembles. Altuzarra created ultra-feminine silhouettes by cinching models’ waists with said corsets, a nod to Shakespeare and Renaissance art. 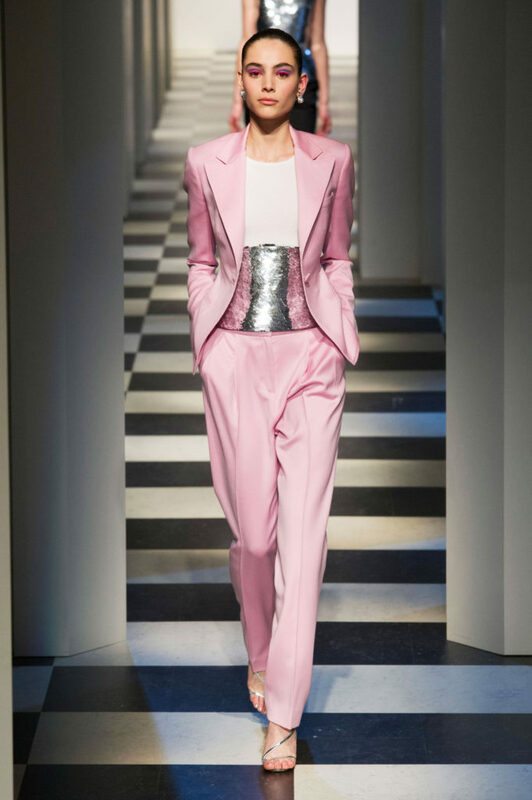 Oscar de la Renta won me over with a hammered corset worn as a belt under a pink suit, taking the power look to a whole new level. Public School added a stretchy corset over a menswear-inspired suit, while Beaufille kept things classic with an elegant leather corset layered over a chic, all-black ensemble calling to mind moody, Victorian era-fashion. Place a corset over a white button-down, with the bottom of the shirt peeking out over black trousers. Tie a large corset over a loose-fitting, graphic tee. Cinch a waist-hugging LBD with a leather corset for a touch of contrast and added definition. I’m excited to see what comes out of London, Milan, and Paris in the coming weeks. 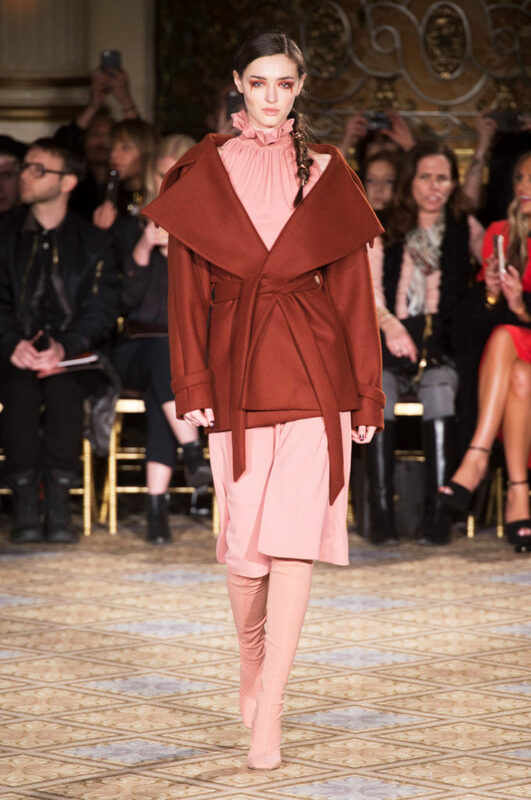 Share your favorite NYFW Fall 2017 trend with me by commenting below or tweeting at me @HOFunkDesign.